elonka.com odometer rolls over to seven digits . . . This week my elonka.com site tracker reached an interesting metric: Over 1 million page views, since I started with the sitemeter tracking service in September 2002. 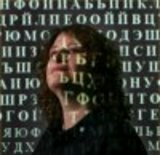 The vast majority of visitors are researching the link between Kryptos and "The Da Vinci Code", so they're coming in on searches such as "King Tut and the CIA", "only WW knows", and other terms which I know are coming straight from the trivia quiz on Dan Brown's site. The second-most common reason for visiting, seems to be my "Unsolved Codes" page. It's an erratic draw, with "surges" of traffic that come in as it gets picked up by different sections of the blogosphere every couple months, gets a flurry of links from people in that section of the net, and then the traffic dies down again after a few days. Third-most common: General kryptos curiosity coming in from the search engines. Lots and lots of visits with a single search term: "kryptos"
My webpage about Saint Raphael is starting to get attention around the Carmelite community (I even found out that the Discalced Carmelite Order has a mailing list on Yahoogroups, heh). I have this image of barefoot friars alone in their cells, typing feverishly on an internet connection. Which may not be too far from the truth! This is a support page for a piece of software called Snapstream, which has been recommended to me for capturing digital video and saving it in a variety of formats. I especially like the chart on this page, which concisely displays the file size differences between MPEG2 and Windows Media file formats. Good resource for finding out the correct "abuse@--.com" addresses to write to for any given domain. Very handy FTP client, available for a variety of operating systems. Nice docs, too. Wiki is awesome. Easy-to-add user content, real-time modification of webpages and hyperlinks. BTW, I've gotten over 2000 unique visitors to http://elonka.com/steganography since yesterday. Whee!